What a stunning declaration of who we are as women: Truth. Beauty. Vision. Dream. 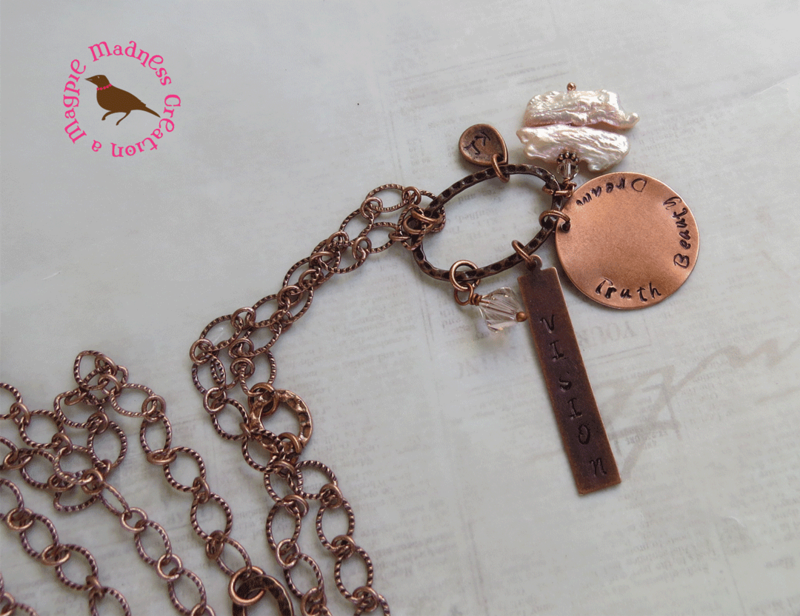 I stamped these declarations on antiqued copper stamping blanks, worked in sparking antiqued pink Swarovski crystals, and a pale pink freshwater coin shaped pearl, and hung from an antiqued copper hammered ring. Add on the side teardrop tag with up to 3 initials if you like! This necklace speaks to me of femininity, beauty, truth authentic materials, and is a reminder to continuing dreaming as we look forward. Chain is antiqued copper plated brass, 32 inches long and is designed to slide right over your head. Msg me for alternant length. Also let me know which initials you want on the tag. All Magpies come charmingly gift wrapped and ready for giving. 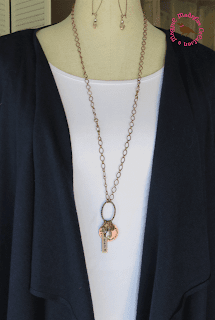 Add this necklace to your collection here.